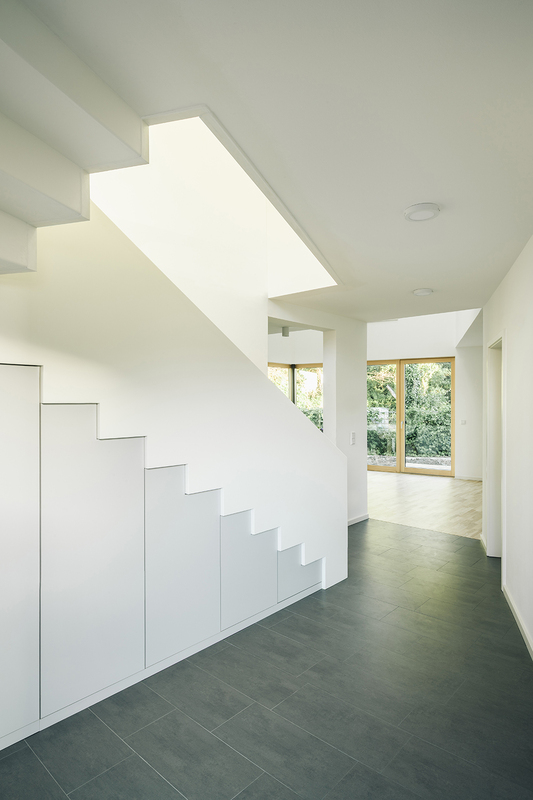 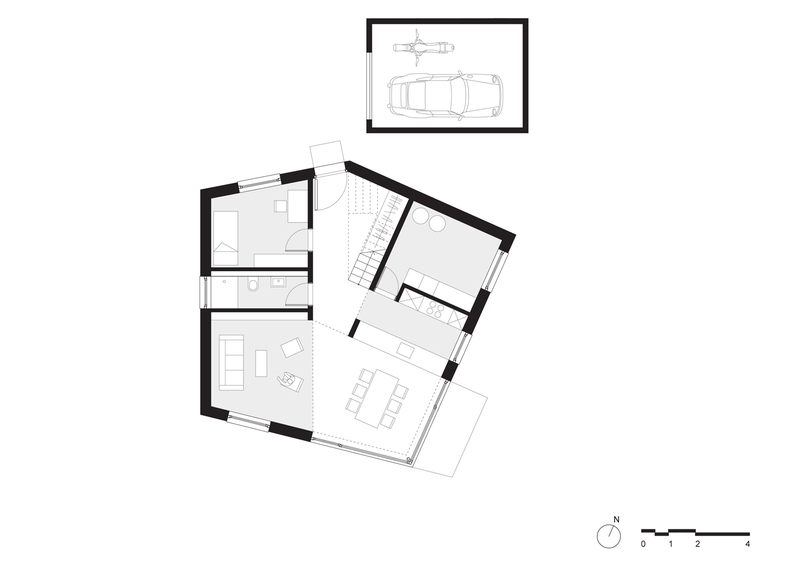 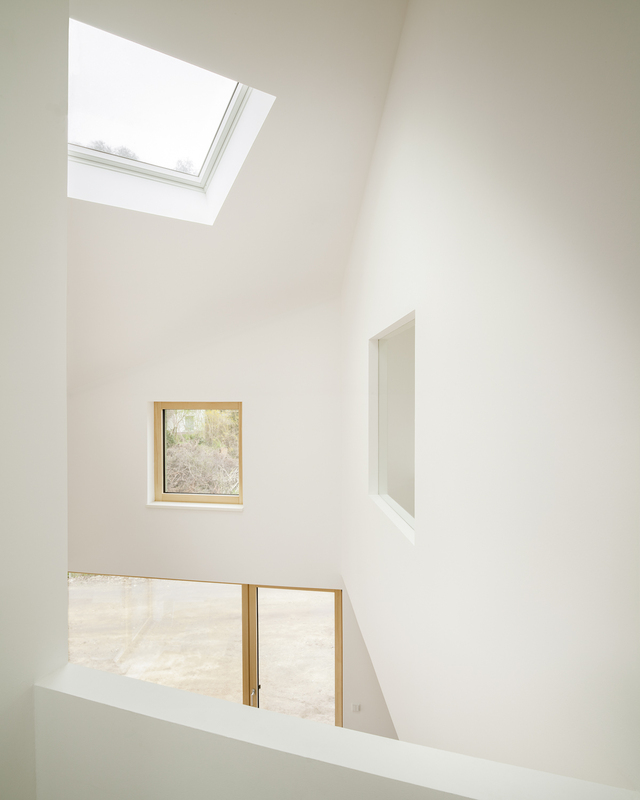 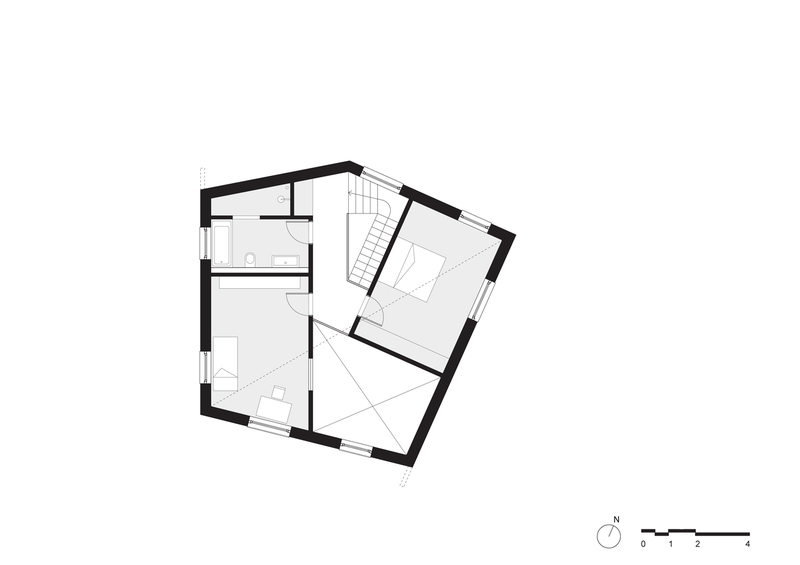 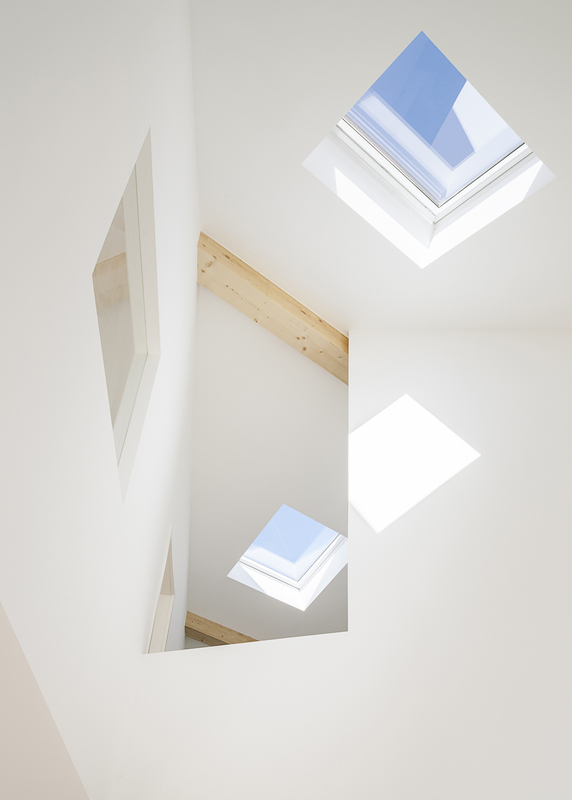 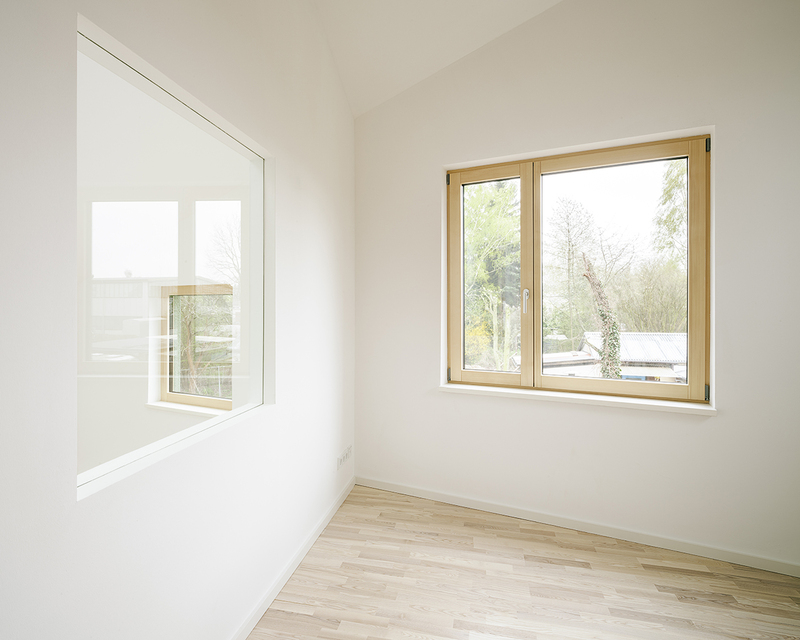 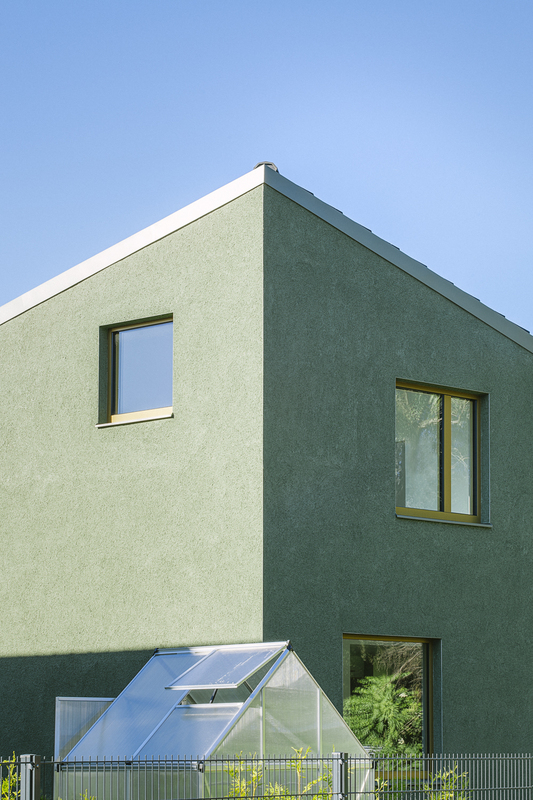 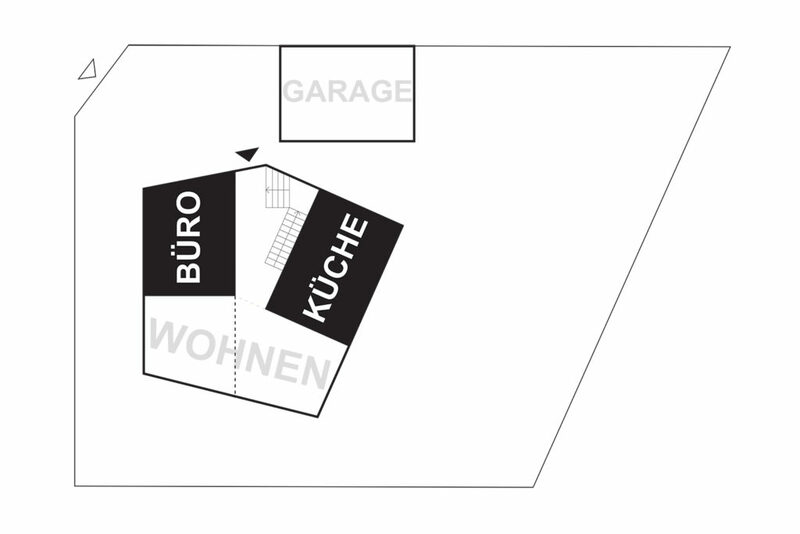 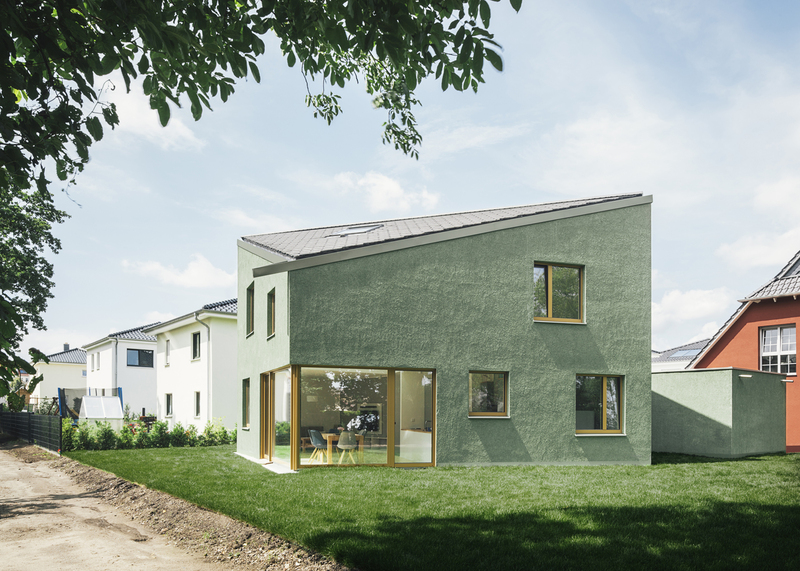 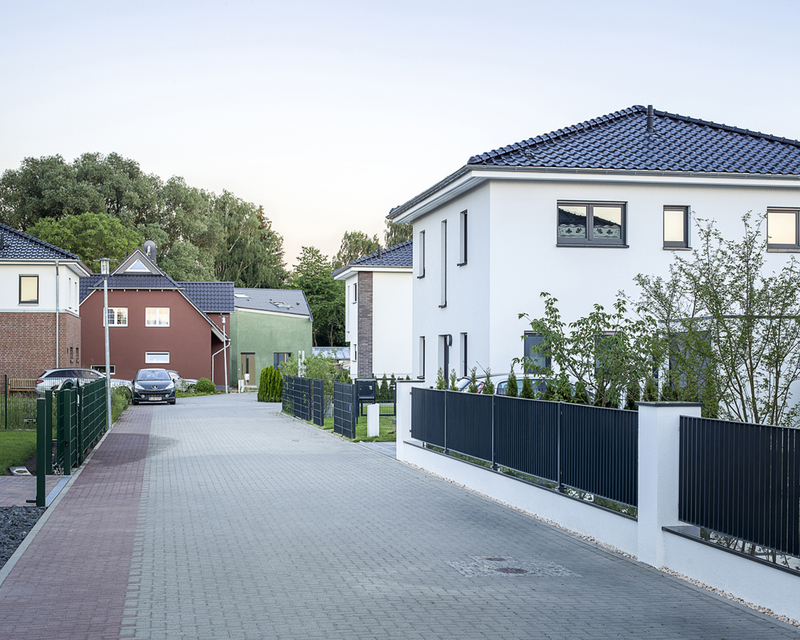 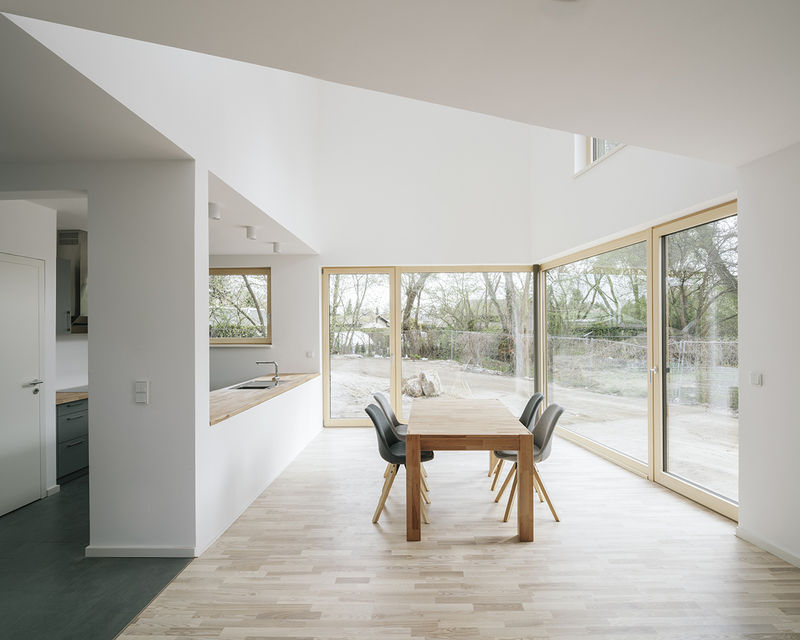 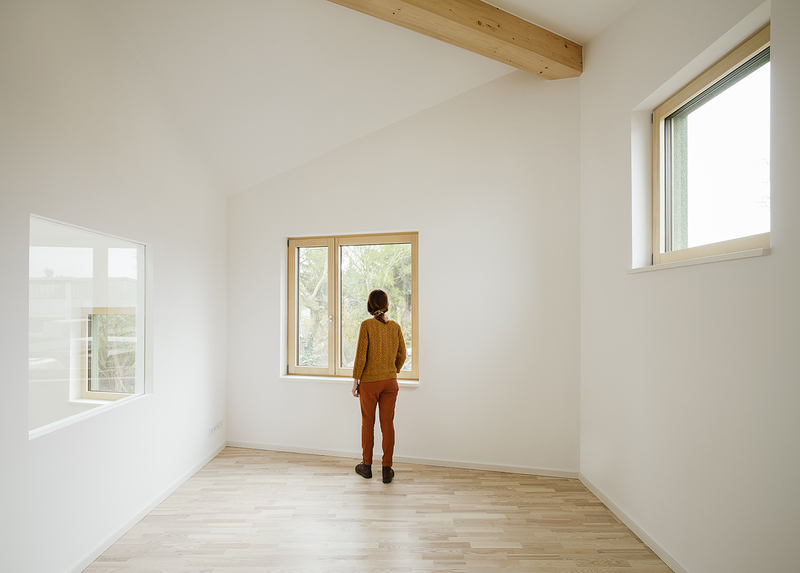 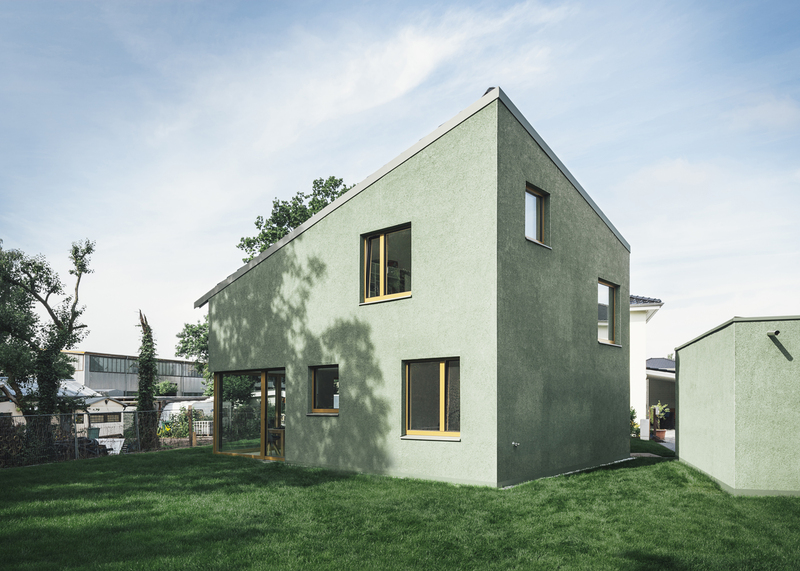 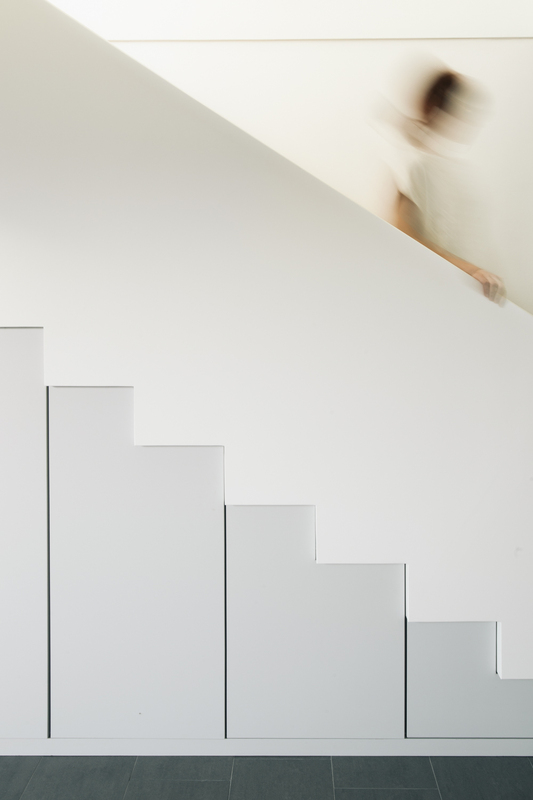 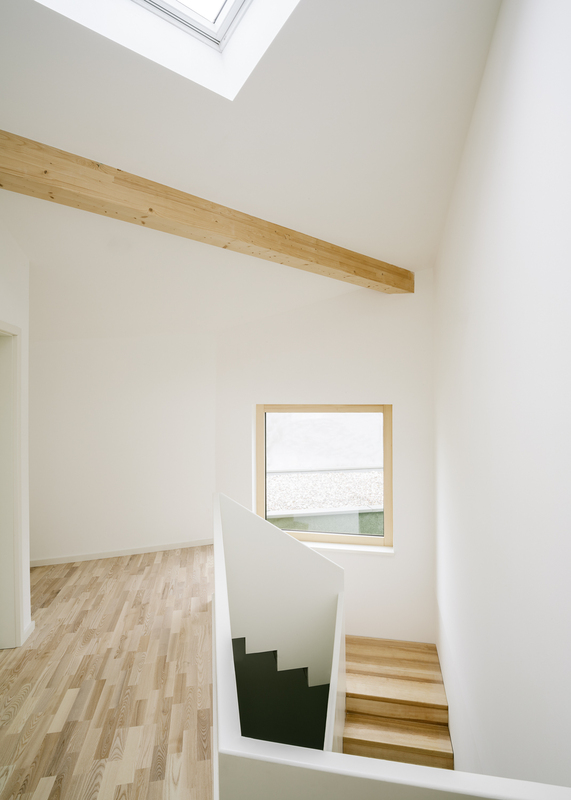 On a small plot in the north of Pankow we developed a house for a family of three. 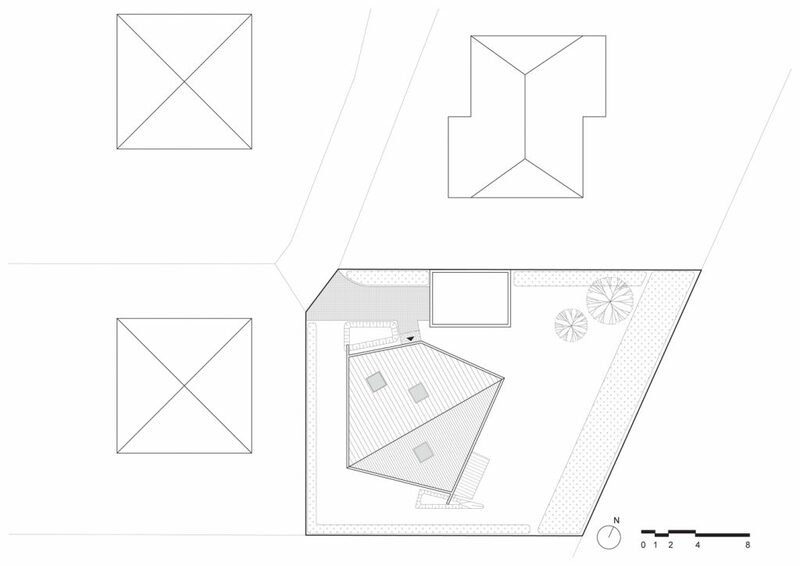 Located at the end of a cul-de-sac in a new residential development, the specific spatial requirements and the rules defined by local planning law characterize the exterior volume. 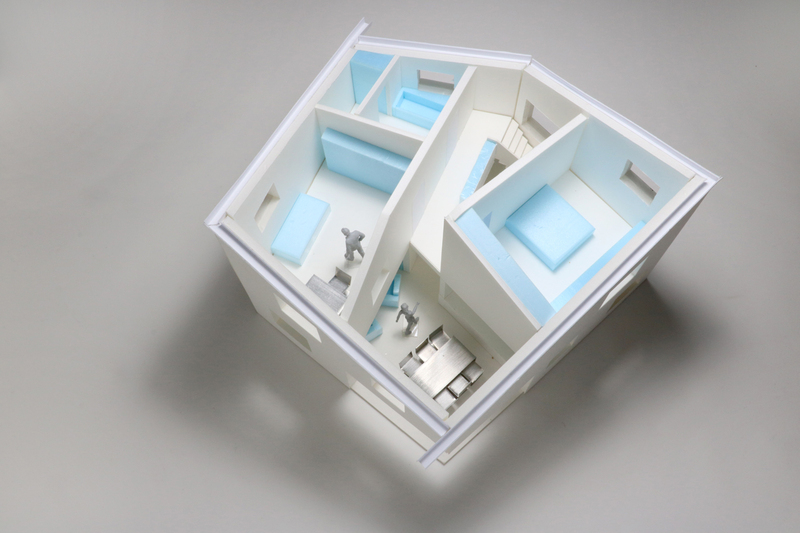 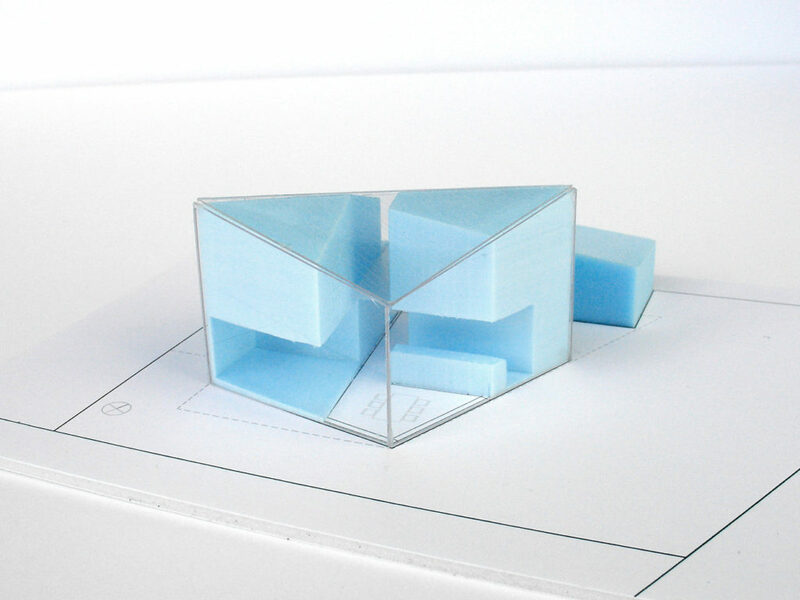 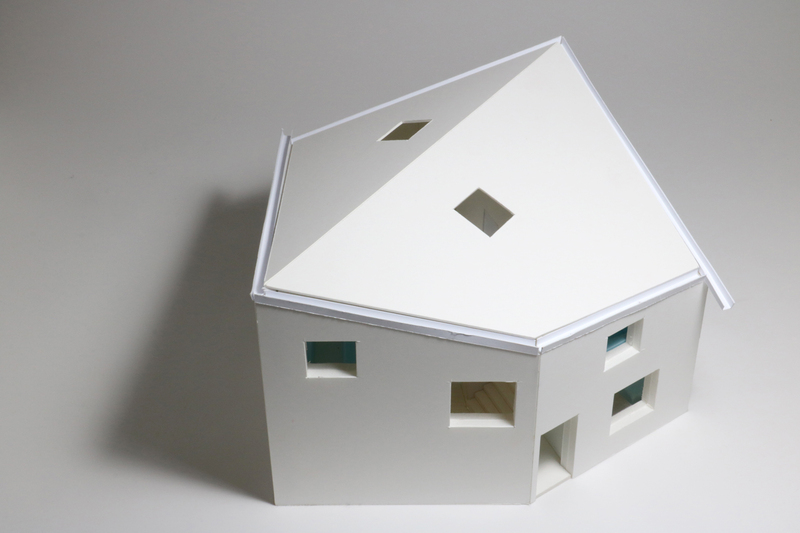 The result is a polygonal building with an independent expression. 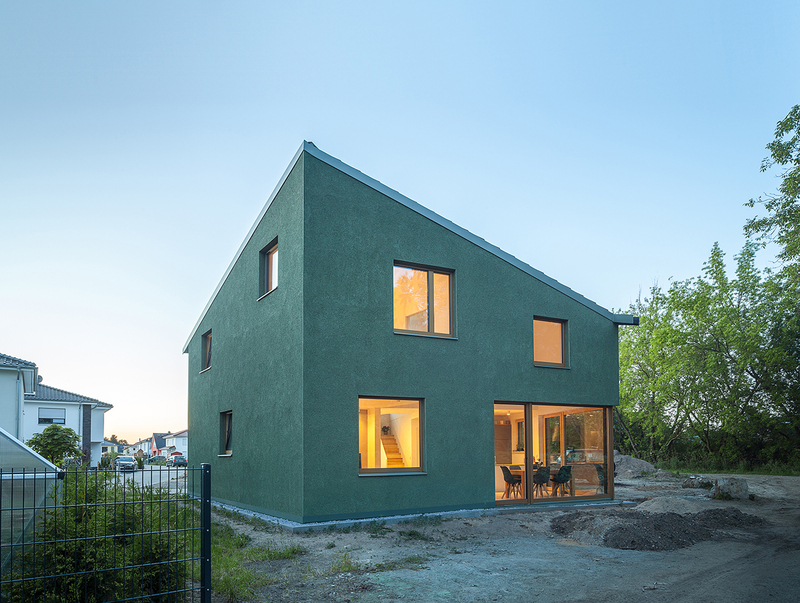 At the same time, the monolithic house with its slanting roof and dyed plastered facade uses a casual everyday architectural language. 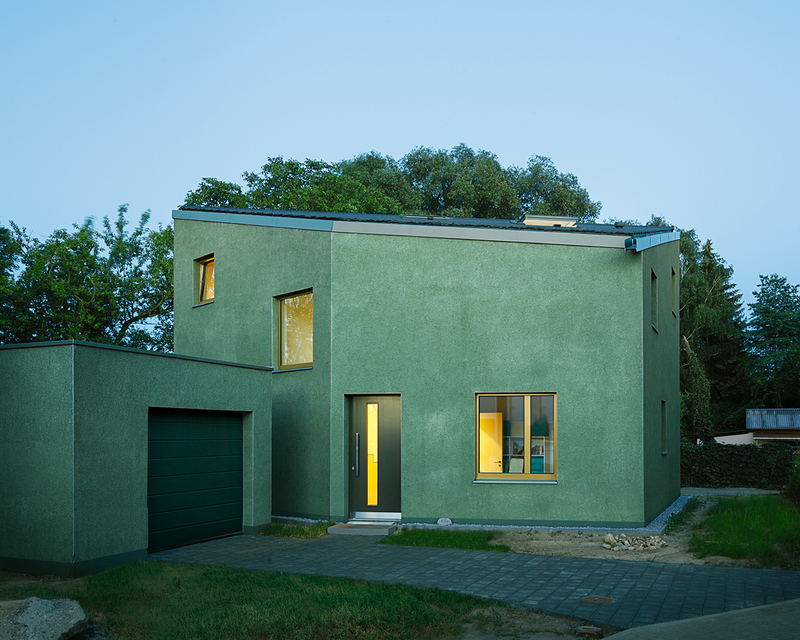 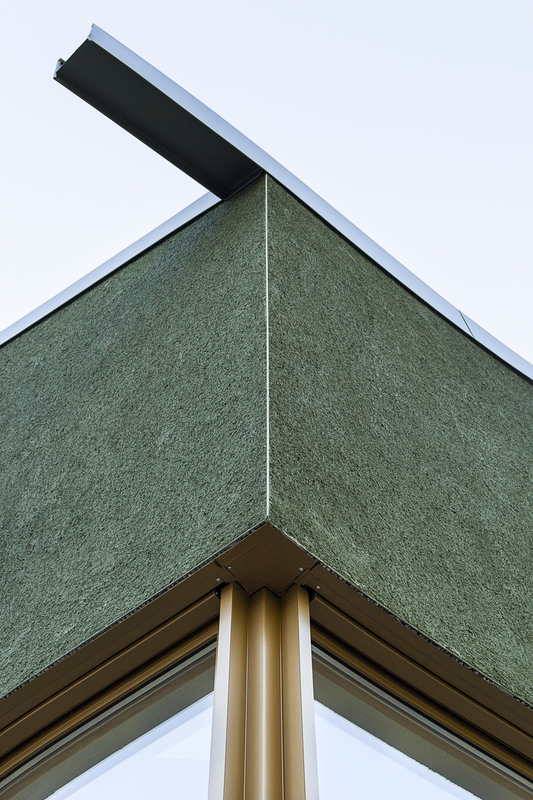 Through the simple and careful choice of materials, the building fits into the neighbourhood and enhances it qualitatively. 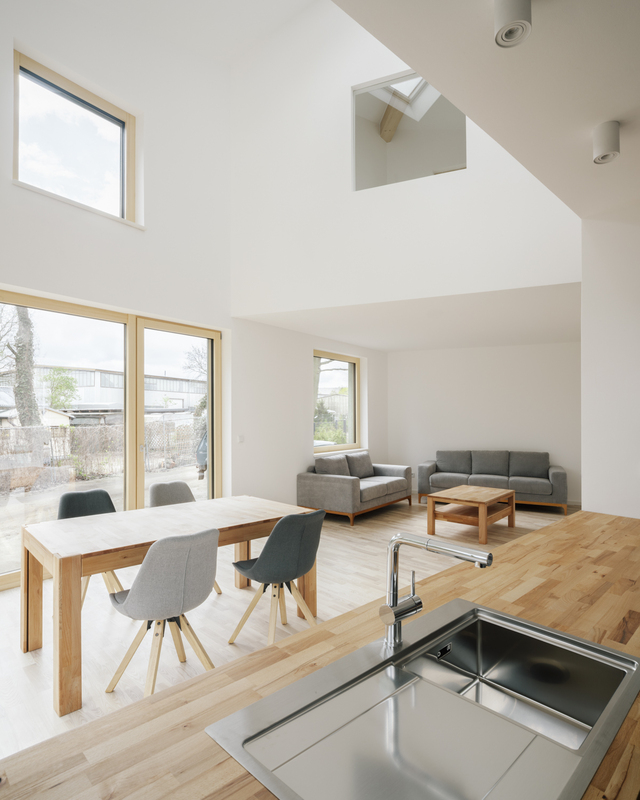 Inside, the open-plan living area with its two-storey space above the dining table creates a generous spatial feeling, while the bedrooms and adjoining rooms have a high degree of usability due to their orthogonal layout.